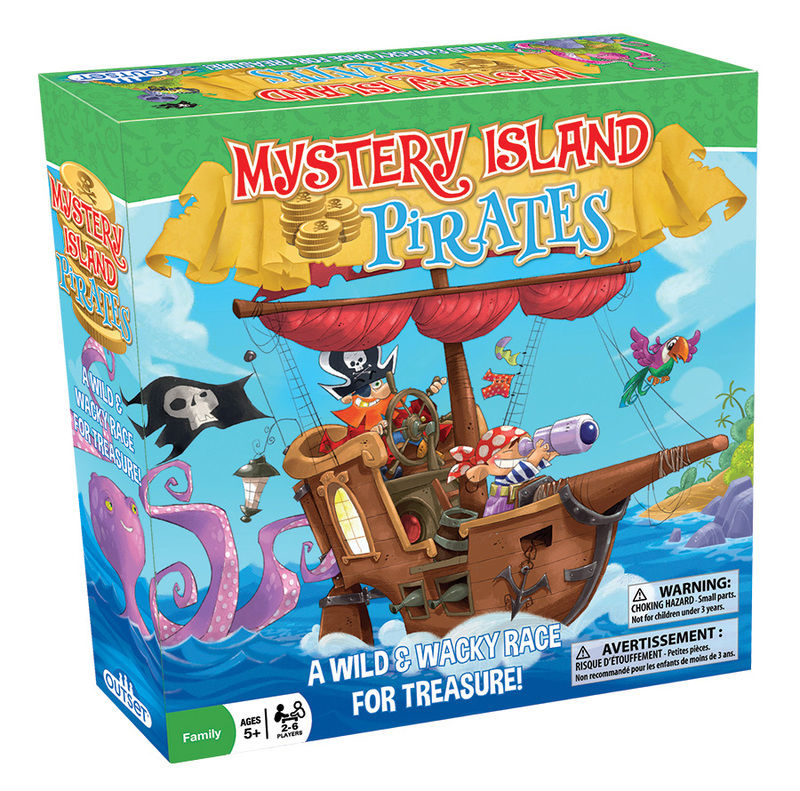 Mystery Island Pirates, is a back-and-forth race from Pirate's Cove to Treasure Island, where anything can happen. So choose your boat, roll the dice, and head off on the high seas for a wild adventure. This tile based game has two options for play and the path taken is never the same! A game wtih high play value and excitement for all the mateys! Argh! Case Pack 6 Width 8"